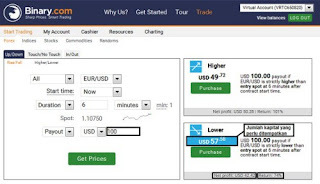 Home AUTO TRADE BINARY OPTIONS BINARY.COM INDICATOR STRATEGY IQ OPTION STRATEGY TRADING The Uniqueness of Binary.com Trading, Facilitating or Confusing? The Uniqueness of Binary.com Trading, Facilitating or Confusing? 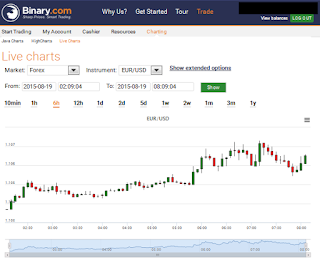 As a broker with a commitment to always improve binary options trading services, Binary.com has succeeded in developing a trading conditions model with a unique and attractive platform. Binary.com not only complements its clients with a variety of extra features, but also includes its own privileges for its services. Binary.com is one of the few brokers that has the type of touch trading and boundary. Not only that, binary brokers who have been regulated by the FSA Malta are also developing and using their own platforms. This of course is one of its special features, considering that most binary options brokers are still utilizing platform provider services. The availability of the price chart is one of Binary.com's advantages that has no doubt about its quality. No half-hearted, this broker offers 4 types of charts, namely Java Chart, Live Chart, Chart High, and TradingView. Chart Java is an application that can be downloaded and provides a graphical display with support for various time frames and technical indicators. 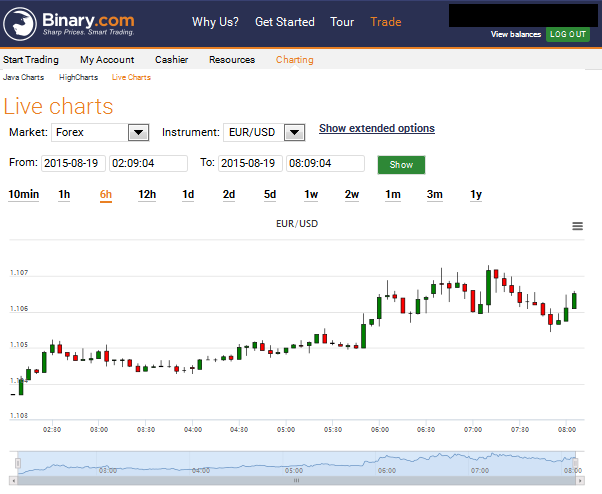 The Live Chart is a price chart that can be seen directly at the bottom of the trading platform. There are many choices of time frames here, ranging from 10 minutes to 1 year. Traders can also set their own date and time frame. Chart High provides direct access from the web to display graphics from the Java Chart. While on TradingView, price charts are displayed in full view format so traders can maximize analysis with chart support, time frame variations, and various kinds of technical indicators. Binary.com has a transparent information system regarding the ins and outs of its trading conditions. On the platform, there is information about how each option works. In addition, traders can also access further explanations regarding the type of trading, daily price range, and price table to see the rate return list at the bottom of the platform. "Trading Times" in the "Resources" section. This feature has the same function as the sell back facility on other binary broker platforms. With this service, traders can prevent total losses by reselling the options that have been placed. The selling price is provided by the broker and can change according to price movements. If a trader has been convinced that the option will not end in-the-money, resale steps can be taken to limit losses. For example, a trader who places a Higher option with a capital of 50 USD gets a signal confirmation that the price will not move at a higher level than the entry spot when the expiry time arrives. Therefore, when the option is still open he decides to sell the option at a selling price of 30 USD. If the price really ends at a level lower than the entry point, then the trader can save 30 USD from the total capital. Resale is generally available for options with expiry time above 1 minute. Under certain conditions, this feature is only activated after the option runs in at least 1 minute. Including forex pairs, commodities, stocks, and stock indices in the list of trading instruments is commonplace and is mostly done by almost all binary brokers. But what about the types of instruments outside the list? Not only does it provide a variety of instruments for all asset classes above, Binary.com also adds Random Markets and Smart Index as additional instruments equipped with special trading conditions. The special advantage of the Random instrument is that there is an option to open options with more diverse types of trading. Apart from High / Low, touch, and boundary options, there are options for trading with Asian types, Digits and Spreads. An explanation of each of these types will be discussed in the next section on various types of trading at Binary.com. Meanwhile, Smart Index is a synthetic instrument from the actual stock index (Cash Index). So, a smart instrument like the US Smart Index will have a price movement orientation similar to the US Index. The purpose of creating this instrument is to facilitate stock index traders with shorter expiry time and longer market opening hours. Smart Index instruments only have expiry time options in seconds and minutes. However, active trading time in the Smart Index market is longer than the Cash Index. On the trading time page on the Binary.com main site, the trading opening hours for the Cash Index are in the range of 6-8 hours on average. Meanwhile, the Smart Index instrument can be traded within a period of 6-12 hours. This type of binary options trading has now undergone many developments with the opening of touch, boundary, and turbo trading. However, not many brokers provide all types of trading in full. Some just open the High / Low option only. Binary.com is one of several brokers offering all types of options. This broker also gives more choices in each type of trading. So, High / Low (on Binary.com is called Up / Down) is not only limited to "up" or "down" options, as well as options on boundary trading (In / Out). For Up / Down, there are 2 variations, namely Rise / Fall and Higher / Lower. The difference is in the Higher / Lower option capacity to provide more choices in determining the target price. This price target can be filled in the barrier column just below the spot price on the trading platform. With this extra feature, traders can more freely determine at the level where prices will start moving up (Higher) or down (Lower). Meanwhile, variations in boundary options lie in the condition of price movements. The Ends Between / Outside option will be declared in-the-money if the price is right within the price range (for option Ends Between) or finish outside the range (for the Ends Outside option) when expiry time arrives. For option Stays Between / Outside, the trader will remain in-the-money even though the price is not in the area that should have expiry time. For example, Between Stays option can remain in-the-money as long as the price has been within the range harge while the option is running. Boundary trading conditions at this broker are increasingly facilitated by the presence of barrier columns on both types of options, so traders can set their own desired price range. Asians: Consisting of Asian Up and Down, this type of trading compares the last price movement with the average price gain during the time the option is still running. For example, trader A trades with the Random Bear instrument, and chooses the Asian Up option with expiry time 5 ticks. The option will end in-the-money if at expiry time arrives, the price moves at a higher level than the calculation of the average price within a period of 5 ticks. Digits: This type of trading provides an option to estimate the last digit of the Random instrument price quote. This type of option consists of Matches and Differs. Spreads: Traders will get a payout from each point of increase or decrease in price. Consisting of Long and Short, this option has a stop loss limit and stop profit to determine the limit of losses and profits. In the discussion above there is a tick term in the example of trading with the Asians option. Tick ​​itself is an expiry time development from Binary.com which represents a calculation of 2 seconds for each tick. So, if a trader chooses 5 ticks as expiry time, then the option placed will only run for 10 seconds. This expiry time option with tick units is a more significant breakthrough than turbo trading. During this time, binary options brokers who adopted turbo trading were only able to provide the lowest expiry time of 60 seconds or 30 seconds. Tick ​​trading is available for most forex pairs and all instruments at Random Markets. This uniqueness of Binary.com may be difficult to understand at first. 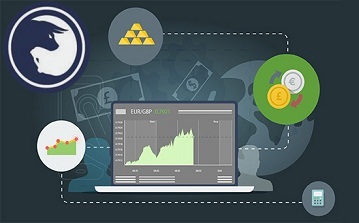 But with a platform that has complete and updated information display, it is not difficult for traders to adapt to the payout calculation model at this broker. Unlike other broker platforms that clearly provide a column for placing the amount of capital, Binary.com actually provides a column for traders to fill in the amount of payout directly they want to obtain. 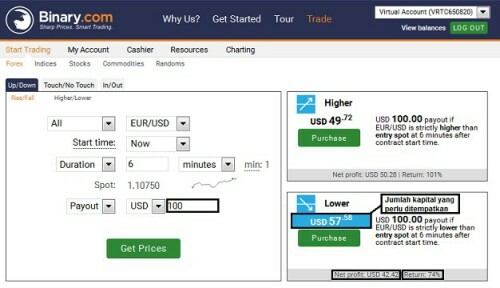 After filling in the desired amount, the trader can click "get prices", and the amount of capital will immediately be displayed next to the option platform. In the example image above, it appears that the trader puts the amount of the payout first at 100 USD to see how much capital needs to be placed for the Higher or Lower option. If a trader chooses the Lower option with a return rate of 74%, then he needs to place a capital of 57.58 USD to get a net profit of 47.42 USD. If the capital number and net profit are added up, the trader will get a payout of 100 USD. The existence of price chart facilities and trading information can provide a convenient facility for traders. Chart variations can be a trading facility to assist the analysis process, while trading information can be a complete guide for traders to choose the best types and trading instruments. Meanwhile, Resale is able to provide a stop loss solution for trading binary options. But traders should also have strong confirmation before using this feature because the selling price of options is generally lower than the capital figure. So if the price turns back to a favorable position, the use of resale will actually harm the trader. Trying a new trading instrument does not hurt, but for long-term success traders are always advised to choose instruments that are easy to understand and can analyze their movements, both technically and fundamentally. With Random Markets and Smart Index conditions that only become simulations and derivatives of stock indices, it will certainly be difficult to understand market characteristics and analyze patterns of price movements in depth. Tick ​​trading can also be a high-risk trading method, especially for newcomers. Trading with 60 seconds expiry time is considered a high risk trading method, especially with 10 seconds expiry time. You could say, trading in that period of time is only speculative and almost impossible to do objectively. Payout calculations on Binary.com can be a problem for traders who are not used to using the platform at this broker. This automatically adds to the uniqueness of Binary.com, which is not easy, but makes trading difficult. From the explanation of the various uniqueness of Binary.com above, it can be concluded that this broker does offer services that are rarely available at other brokers. However, traders also need to be careful to use some of the features above. This is because of the negative risks of some unique conditions at Binary.com. To be able to take advantage of the uniqueness of features at Binary.com, use of facilities that are definitely beneficial first. Regarding the features that the convenience is still doubtful, traders can try to use it on a free demo account before applying it to trade on a real account.